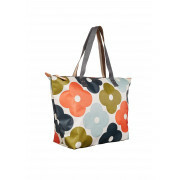 This large printed shopper bag by Orla Kiely features her iconic flower motif and vibrant multi colours. 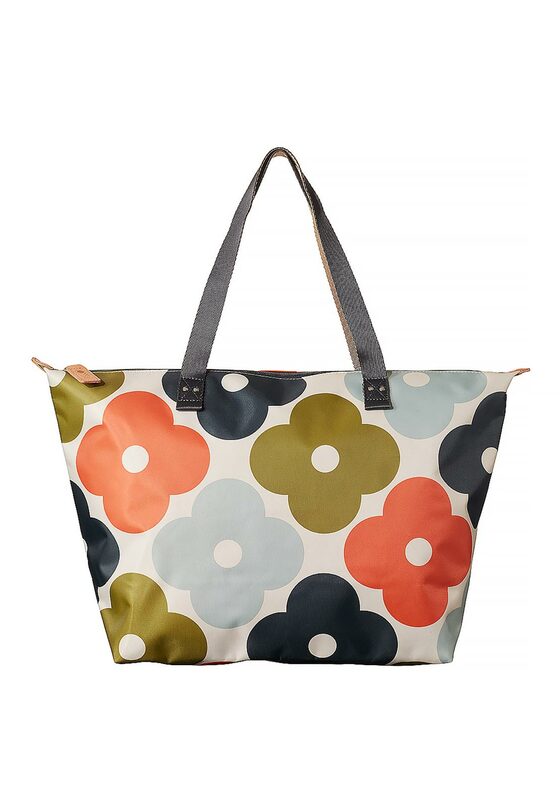 Perfect for everyday casual wear, this large bag has double sided webbing handles with zip closure. On the inside there is a small leather logo card holder and an inside pocket. 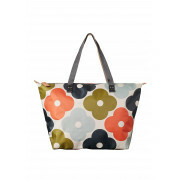 The large handles on this versatile bag allow for it to be carried on shoulder even when it is full.